Have you been lately suffering from a swollen dental pulp? Watch out, for you may be suffering from a case of Pulpitis. Read and know all about the main causes, symptoms, diagnosis and treatment options for this condition. It is a disorder wherein the tooth pulp suffers an inflammation, exerting pressure over the pulp chamber that affects the nerve and other connective tissues of the tooth. It is characterized by mild to extreme pain that makes an affected person experience discomfort and even suffer from weight loss. This type of pulpitis is more appropriately considered in the general sense, since it is the representation of a wider range of responses like dentin hypersensitivity. It is further categorized as acute pulpitis or chronic pulpitis depending on the occurrence of the pain experienced by the patient. This condition is worse than the reversible pulpitis. It is a condition wherein the pulp finds it impossible to recover. Chronic pulpitis – It is further divided into two subtypes, namely Purulent Acute Pulpitis and Gangrenous Acute Pulpitis. Purulent acute pulpitis – It is distinguished by a completely inflamed pulp which is very painful especially when the individual lies down to rest. Gangrenous acute pulpitis – It is a less painful form of pulpitis but this can eventually lead to granuloma formulation, a form of hard and pale pad abscesses. Hyperplastic pulpitis – It is the type of pulpitis that grows from and exposed pulp chamber as produced by a grossly decayed tooth. It is also synonymous to a pulp polyp or tooth polyp. The symptoms of this condition tend to vary based on the type that an individual is suffering from. This form of the disease easily responds to irritants and is characterized by transient pain and sensitivity as a result of stimuli, which ranges from sweets, hot and cold food and beverages to sudden touch of a hand. However, the pulp can be preserved and made to function once the irritant has been removed. Once the cause or the stimulus has been removed, the intensity of the painful symptoms can be minimized. Bacterial infection is another reason behind this condition, caused by repetitive trauma or Periodontitis. This happens as the pulp chamber is no longer protected from the environment outside the oral cavity. To easily distinguish Reversible Pulpitis, you may consider the following causes that triggers the pain experienced by the individual. Trauma – Improper occlusal relationship and blow to the damaged portion of the tooth results to reversible pulpitis. Thermal Shock – As in case of those with irreversible pulpitis symptoms, individuals who suffer from reversible pulpitis experience thermal shock when exposed to overheating of the exposed pulp. Chemical Stimulus – Food characterized by sweet and sour food stuff that produces chemical stimulus resulting to increased pain. Caries – Infection due to bacteria is one of the classified reasons for this kind of Pulpitis. Dehydration, due to alcohol consumption or chloroform. Use of amalgam restoration due to gold restoration. Read on to know about the treatment for the two types of this condition. This form is usually diagnosed by the amount of pain that a patient experiences. A person suffering from this type experiences pain in varying degrees. It will only last for a brief duration due to some irritant, which once appropriately discarded also leads to diminishing of the pain. The tooth often fails to register any response when subjected to Percussion. The tooth often responds to cold stimulants. The visual showcases caries after utility of the probe equipment and possible fracture on the tooth. It is noticed that the periapical tissues remain normal but reveals depth of caries and cavity penetration. The normal Pulpitis treatment for this condition is to remove the decay and place it with filling so the pulp can return to its normal and healthy state. Once you experience Pulpitis symptoms, it is best not to self medicate. Your dentist needs to identify the type of test that is appropriate for detecting your condition. Some of the tests include evaluation of the pain experienced by the patient as the pain increases after the application of heat or cold compress. 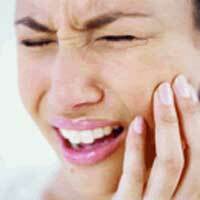 The tooth may also be tapped in various areas to test the sensitivity of pain of the area. If you go and visit a state-of –the-art dental clinic, you may be subjected to an electric pulp test. This will help in a more accurate evaluation of the condition of the pulp. It is important to identify if there is still a chance for the pulp to be saved because the severity of the damage plays an important role in finding the best form of treatment for the disorder. This is done through direct vision of the deep cavity that involves the pulp. At times, a probe may be used to see the deeper portions of the pulp. However, do not expect this type of excellent facilities in all dental clinics. Choose dental clinics that are up-to-date with the latest dental technique and equipment because it will increase your chance of saving your entire tooth rather than it resulting to tooth extraction. This is a great way to have a vision of the section of the pulp. It reveals the caries found under the filling together with a view of the deep cavity displaying widening of the periodontal ligament. This reveals and increased pulpal cavity that further exacerbates due to intrapulpal pressure creating tenderness on the percussion of the damaged tooth. This is done through the stimulation of various types of heat on the damaged tooth. It is confirmed to be a case of Pulpitis when cold application helps relieve it of the pain while heat produces an opposite reaction. If you do not wish to experience the suffering brought by the disorder, then you have to be very diligent with your oral health. Follow the hygienic measures recommended by your dentist by brushing your teeth at a minimum of twice in a day or at best every after each meal. It also helps for you include flossing and using water pick or mouth rinse that is free from fluoride to get rid of most of the remaining bacteria. Make it a habit to visit your dentist regularly. Read latest news about oral health and educate yourself about the best preventive measures for this condition. It is best to use short handles in choosing your type of toothbrush and it should be replaced every two months. This will maintain the quality of the toothbrush that and its cleaning capacity. Choose an unwaxed dental floss especially if you already have tooth fillings, but a spongy type of dental floss is more appropriate for children. Find a mouthwash with an anti-plaque agent because it has more substances that can kill bacteria. This potent liquid will lower your risk of suffering from Pulpitis. If you are experiencing even minor pain in your teeth, get in touch with a doctor at the earliest. It is important to diagnose and treat Pulpitis before it deteriorates into its irreversible form. A timely treatment will help you avoid cases of Irreversible Pulpitis, which have no cure as yet.